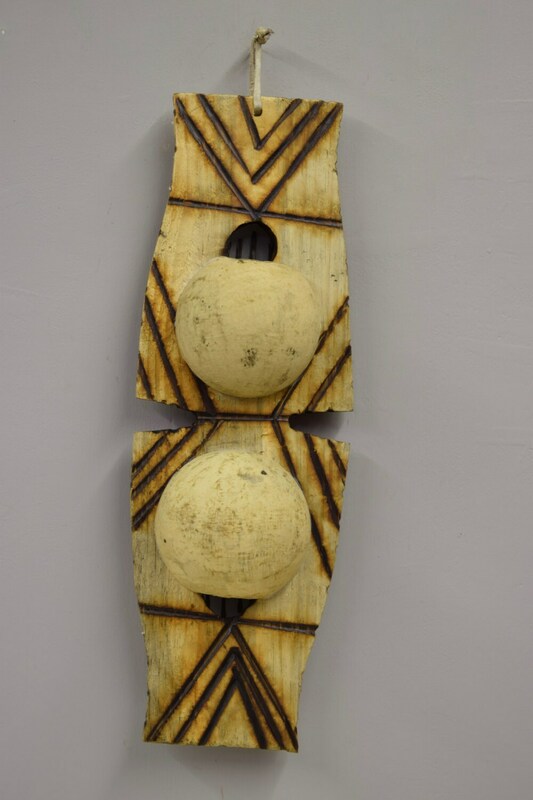 This is a fun and unique Zulu Double Carved Gourd "Kalimba" Thumb Piano from South Africa. 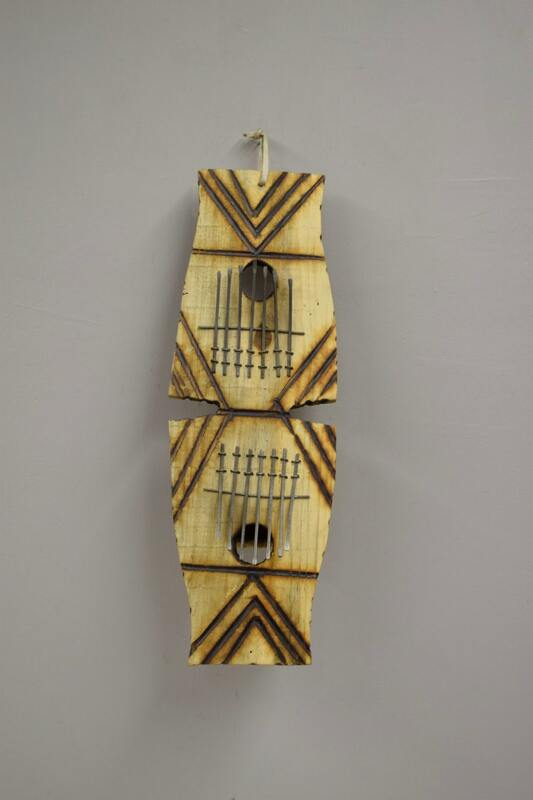 This Kalimba is derived from the more complex South African Mbira, and is played by plucking the keys with the thumbs of each hand while holding the gourd body in your palms. The sound created is very melodic and resonant, which is very "African" sounding. Each key is adjustable so you can tune the instrument according to your preferences by sliding the key in or out, and adjusting the tines up and down by adding bees wax underneath each tine to alter the pitch. This is a fun and wonderful instrument to share with the entire family. This would be a great gift or to add to your collection. This gift for a globetrotting friend is sure to be treasured. Excellent condition and shipped quickly.